About 54% of U.S. adults are currently trying to reduce their weight, and a large percentage are also trying to build muscle and develop a healthy lifestyle. If you're trying to build muscle but have found it challenging to find the right exercises and workouts, you're certainly not alone. Here are just a few reasons you may not be building muscle -- as well as what you can do about it. Losing 5% to 10% of your weight is proven to lower your chance of developing heart disease, and cardio is known for its heart-healthy benefits as well. However, if you're doing too much cardio, it could be an issue for those trying to build muscle. "Cardio is important for keeping your body fat down and keeping your heart health in check. (Bonus points if you run or bike, since outdoor exercise is linked to better energy and improved mental health.) But when it comes to building muscle, hitting the treadmill won't help you much. 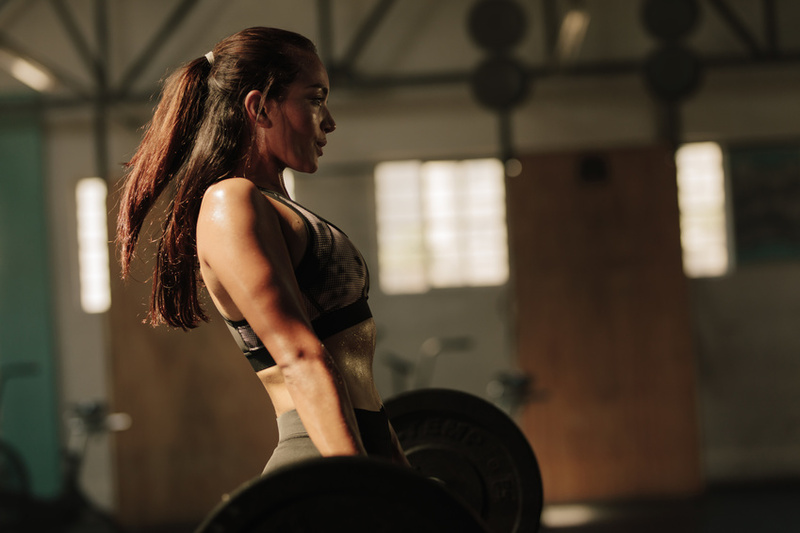 Cardio tends to burn calories and puts your body in a deficit, which is great for leaning out, but not building mass," writes Amy Schlinger on Health. Consistency is key when it comes to achieving any type of fitness-related goals. Whether you're just trying to lose weight, build muscle, or develop a healthier lifestyle, try to get into a consistent routine that's planned ahead of time, e.g., where, when, and for how long you'll exercise each day or week. Finally, it can be easy to get caught up with your fitness and exercise goals, but it's absolutely vital to give your body the rest it needs to recuperate after each day. Don't ever sacrifice sleep to try to get ahead on your fitness goals; developing a healthier lifestyle is all about finding the right balance. Without enough sleep, you're unlikely to reach your health goals. About 50% of Americans say they are unsuccessful at losing weight because they don't have enough self-discipline. Informing yourself of the best practices in terms of health and fitness can help you achieve your goals while staying disciplined. For more information about exploring custom weight loss programs, contact 20/20 LifeStyles.